Antestor is a Christian doom/death/black metal band from Norway. 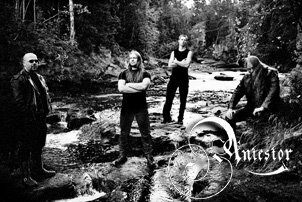 They are the second Christian band to be signed to a major label after Horde and the only Christian band to be signed to Cacophonous Records. Not for long though. They were dropped and their album (The Return Of The Black Death) was limited release. The album is now only available through underground internet-based Christian music stores (I thank Blastbeats for my copy!). However I will not be discussing "The Return ..." today, I'll regale you all with that and further stories of death threats at a later time. 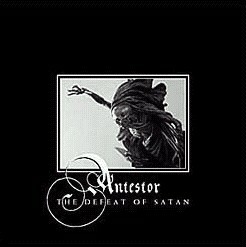 No, today I will review "The Defeat Of Satan" the re-issue of Antestor's first 2 demo's, "The Defeat Of Satan" and "Despair". Limited to just 999 copies (all numbered! I can't remember what number mine is and it's in a box in the basement.) this is a look at how Antestor (called Crush Evil for the original "The Defeat Of Satan" release) began. These 2 demos are in the doom/death metal category with black metal coming into play on "The Return Of The Black Death" their 3rd release. The production is raw, but not bad with "Defeat ..." a little rawer than "Despair". This is slow, crunchy doom metal with death metal vocals the likes I've not heard before. It's like The Reaper himself calling forth lost souls. This is prominent right from the beginning of the album. 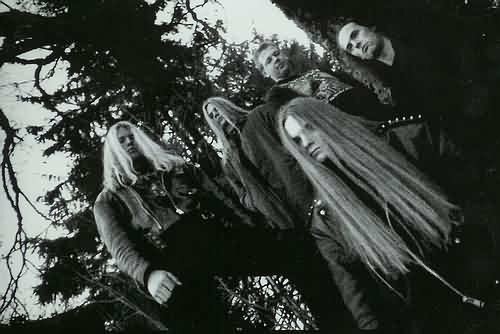 After a short atmospheric intro "Preludium" we get the sinister beginning of "Demonic Seduction" with its demented cackle and Brutal, brutal death metal vocals. Like the voice of the Reaper himself The song establishes the mood of the album upfront. I'll just say it now, this is my favourite track. It's heavy, doomy and eerie. The rest of the "Despair" ep is much the same. "Message From Hell" is crunchy and dark with a doomy riff and skin peeling vocals. "Lost Generation" is more doom laden with Church organ keyboards and more clean vocals. "Human" gets a little speedier at times and is passionate. It too features a stronger doom feel and also is unapologetic in its lyrical boldness. With lines like ~Thank you Jesus for saving me!~ how can you not tell they're Christian? But that aside, Antestor are not so much preachy as they self effacing and humble. They are aware of their own weakness and sin, which gives the album a feel of prayer. This is very much the case with their cover of an old Norwegian hymn "Jesus, Jesus Ver Du Hja Meg" (Jesus, Jesus Be With Me) the last song of the "Despair" portion of the album. Their version is doomy with clean vocals and church-like organ. The guitars enter subtly part way through and features some fine solos. "The Defeat Of Satan" ep brings up the rear (though it was their first demo)and feels rawer and more epic. The title track of this album is 9+ minuter which starts with a dark and eerie symphonic intro leading into a slow sludgy doom/death metal tune with varying tempo changes. "Jesus Saves" is the other epic length track and is probably the most death metal like track and features a freaky bridge/solo. "New Life" has a heavy death metal chunkiness to it and military style drum work and borders a little bit on progressive. takes all the fun out death metal music! Does Debbie Boone sing about Satan winning over God? No. So why do metal bands have to sing about God beating Satan? I like my lines drawn clearly in the sand. I like it when the teams are picked ahead of time and every one stays on their appointed side. first of all, yes, i do find christian black metal a hugely silly concept. 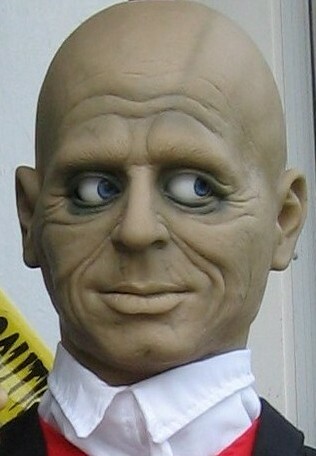 however, that wouldn't stop me enjoying the bands, except that all of the ones i've heard so far are utter crap to me.